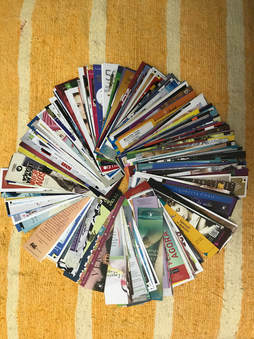 International Friends of Bookmarks (IFOB) is a community of bookmark lovers with members all over the world who are interested in bookmarks, such as passionate readers, bookmark collectors, librarians, illustrators, blog editors, product designers, bookshop owners, bookmark producers, and others. Read more about us, our mission and how to become a member here. Woboda Raffle Up to 1673 Bookmarks!! Woboda Raffle increases to 1268 bookmarks! Woboda Raffle up to 1108 bookmarks! 1. Add the ones you like to your collection, of course! 2. Use some to swap with others on our Swap page. You will probably find many that match the interests of other collectors. 3. Give some as gifts (or stocking stuffers for the holidays) to friends and family who like to read. 4. Use them as gift tags: if the back is blank, you can add a To/From or greeting message. 5. Give some to your local library to give away. Perhaps there will be some that would appeal to children, especially. 6. Give some to your local used book store. They can give them away to customers. 7. 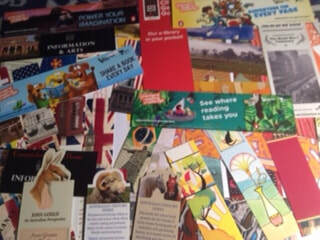 Make a display for your local library to show the variety of bookmarks around the world. 8. Include one with greeting cards you send for birthdays, holidays, other occasions. 9. Make an advent calendar with a surprise bookmark revealed each day. The idea of the advent calendar can be used as a countdown for other events, if you do not celebrate Christmas. 10. Turn them into art: frame bookmarks with a theme or interesting graphics, or make a collage. 1. 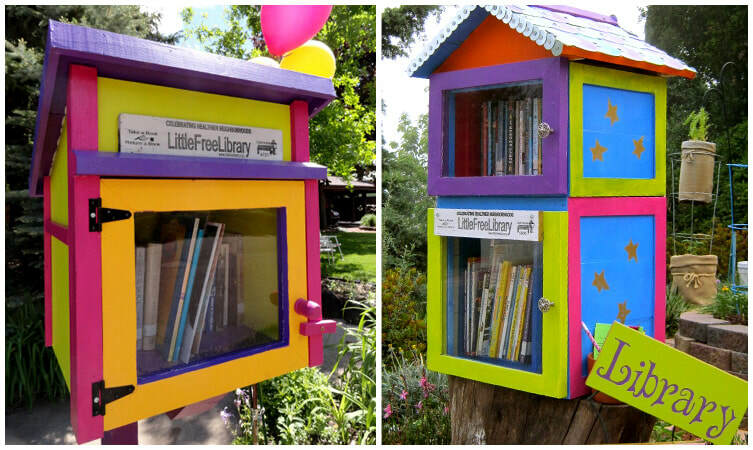 Leave bookmarks at a Little Free Library near you. ​2. Send one of them with birthday, Christmas or other greeting cards to friends and relatives. 3. Ask your local used bookstore if they would like copies to distribute. And ask them if they find bookmarks left behind in donated or acquired books. Maybe they will give you a few. 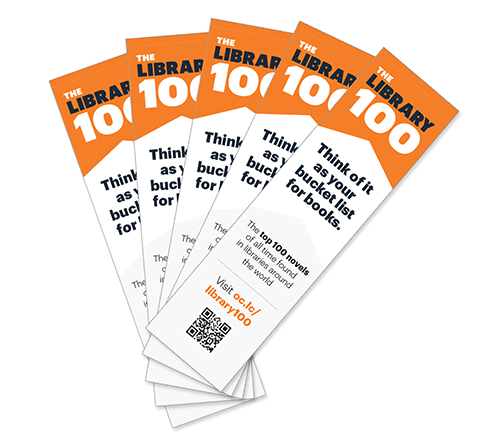 Woboda Raffle now has 1078 bookmarks! Woboda Raffle up to 1033! 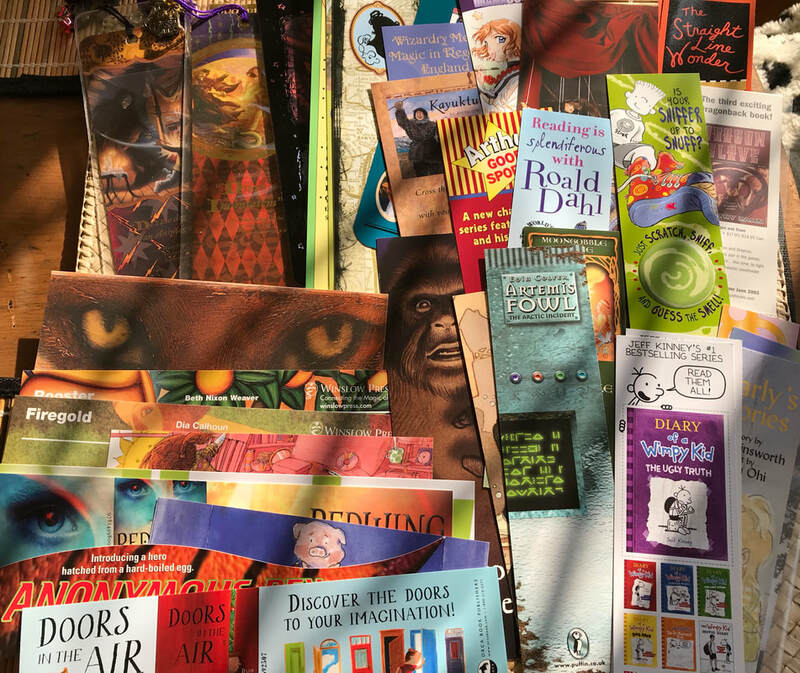 A donation of 75 children's books bookmarks increases the raffle. More donations to come soon. And there is currently only one participant in the raffle so send your entries in (remember, photos only to show how many you will send to the winner). We welcome Luciano Domingos Jesus Santos from Brazil as member and swap list participant and Toshio Toyoshima from Japan as swap list participant. 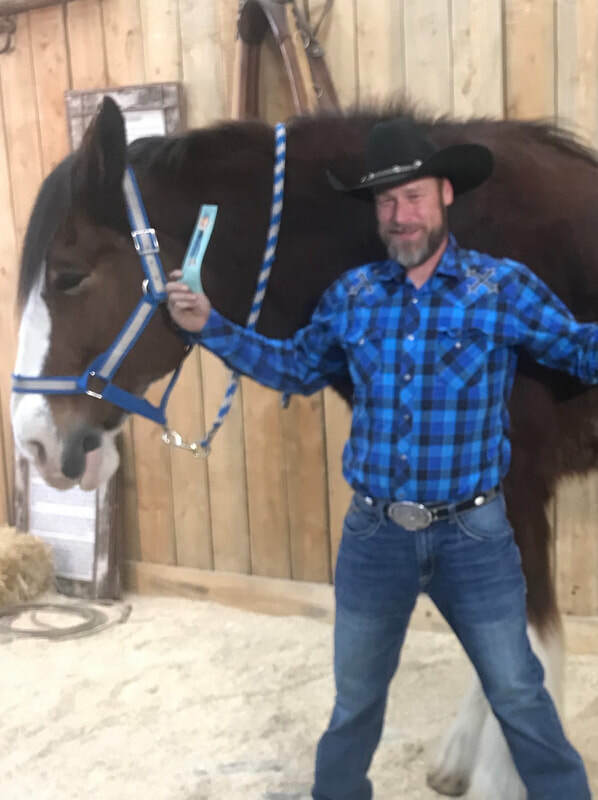 Luciano likes bookmarks with advertisements for books and Toshio has been collecting for 30 years! See the Swap List for more information about both of them. 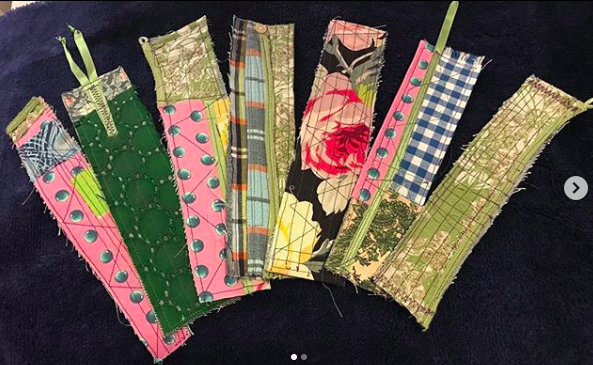 38 duplicate bookmarks from Elly's donation will go to second place winner. Please welcome our new members: Aye Thuzar Aung from Singapore; Maria Kalliokoski from Finland; Kelli Taylor from USA; and Rosemarie Humphreys from the UK. All but Rosemarie are on the Swap List which now has 67 people from 22 countries! Welcome new members: Edoardo Bona from Piedmont, Italy as well as his library, Biblioteca civica di San Michele Mondovì; Ganapathi Subbaiah, Bangalore, India; Jacqulyn Dudasko, Irving, Texas, USA; Elaine Hanson, Spalding, Lincolnshire, UK; and Jamie M, Rocky Mount, Virginia, USA. Elaine and Jamie also joined the Swap List - check out what they have to offer. 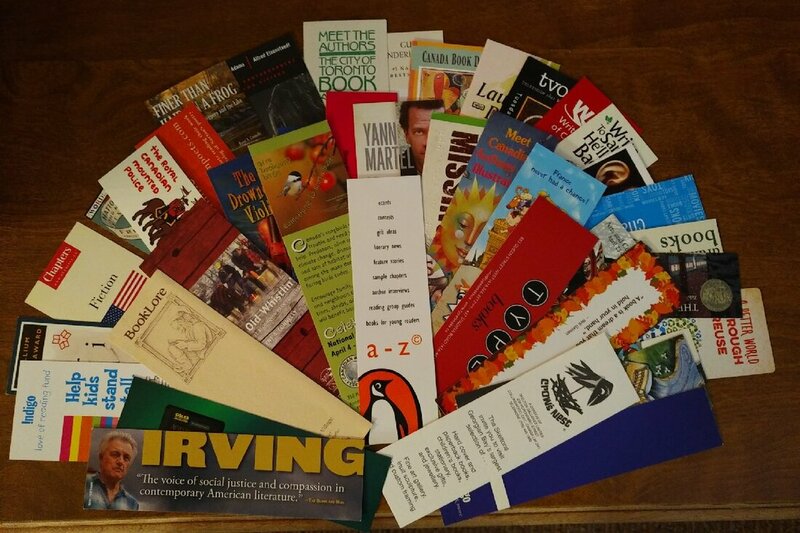 These bookmark lovers bring our membership to 79. Other swap list participants are being added to the membership list and a newsletter with member list will be coming soon. 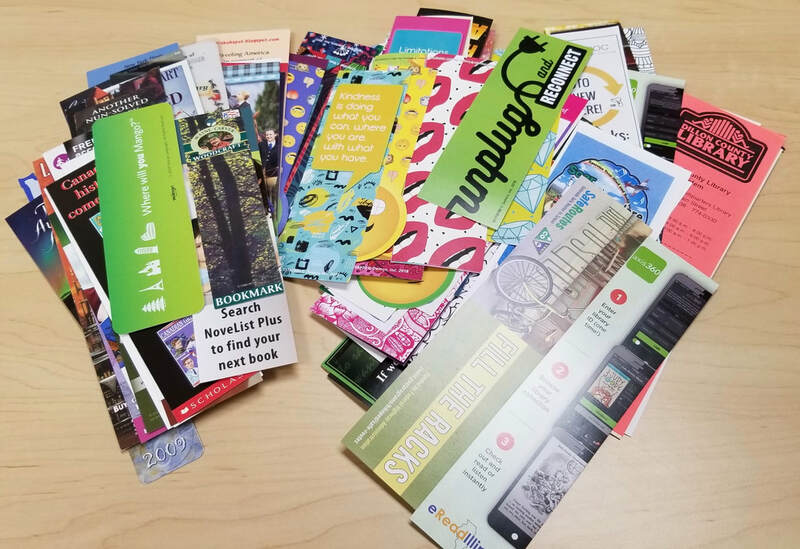 ​​Our member Kerrie More wrote an article for UPPERCASE Magazine titled ​I'll Be Here When You Get Back - The Store of the Ubiquitous Bookmark now posted in our Reading Room. 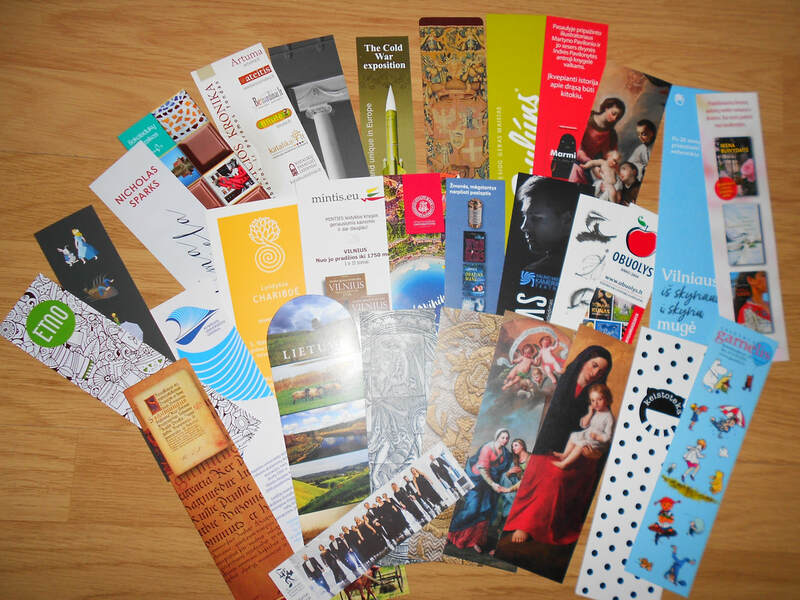 The same issue published printable bookmarks which are linked in the Workshop. Thank you Kerrie for this lively account! Congratulations to Regina Maciulyte from Lithuania who won the raffle--amazingly for the second year in a row! It is not possible to game the system because the lucky numbers of entrants are not published until the end of the raffle and this number is key to the formula that determines the winner. We double checked to make sure the formula was applied correctly. So Regina is just a very lucky person--Congratulations!!! Our second place winner is Debrah Gai Lewis from Australia--congratulations to Debrah! And many thanks to all raffle participants for their generosity. Note: the above image was sent last year by Lea Kaib. We liked it so much we wanted to use it again and hope that Lea won't mind! 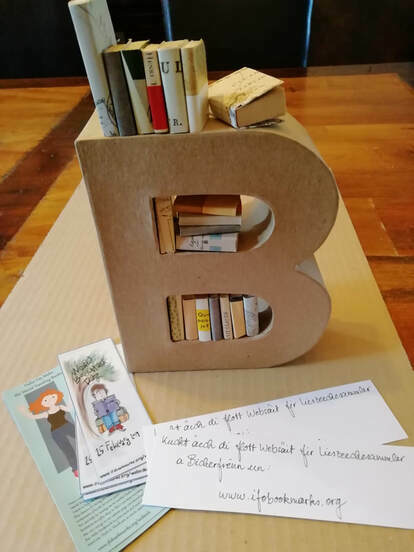 ​​ Send a telegram with your thoughts, tell us what you are doing to celebrate or just express your interest in bookmarks. Since we are international, our hours of celebration will extend to 26 February to give everyone a chance to participate. We would love to hear from you! 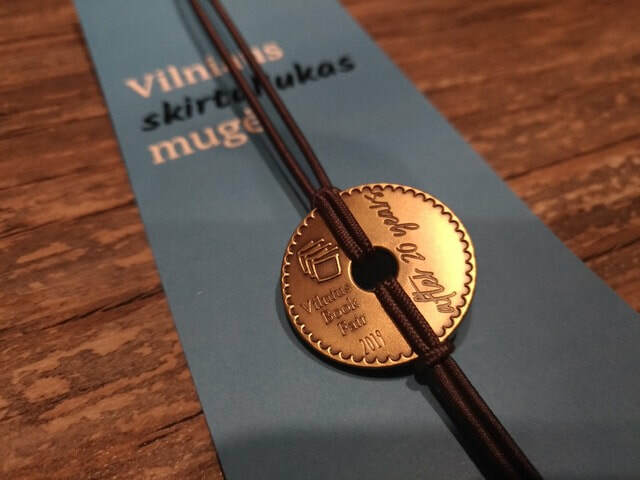 Wobo, the traveling bookmark, has visited some interesting sites with Vilija Jociene in Telsiai, Lithuania. Check the Woboda page for more fun photos. I have been waiting for this all day long, since we are 9 hours ahead of California. So hello everyone out there, and HAPPY WOBODA!! 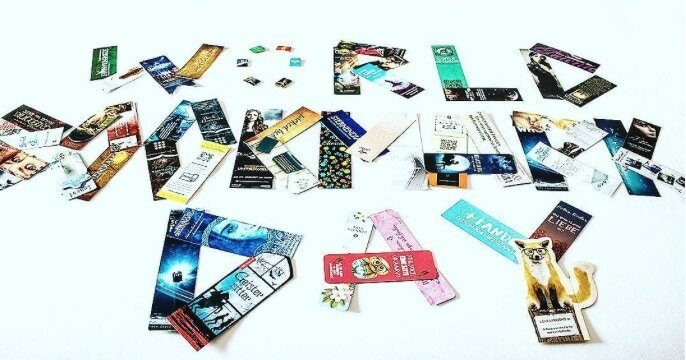 Today all we bookmark lovers in the world feel united. With this also a sad and respectful thought goes to Asim. From Ana Formiga via our Facebook page: Congratulations to all the ones involved in this year celebration of WBD, it's remarkable all the effort after the loss of Asim Maner. Greetings from Portugal to all the community. Happy WOBODA to everyone who love bookmarks and don't know how to live without them :) From Regina Maciulyte in Lithuania. We will announce the winner a little later today. 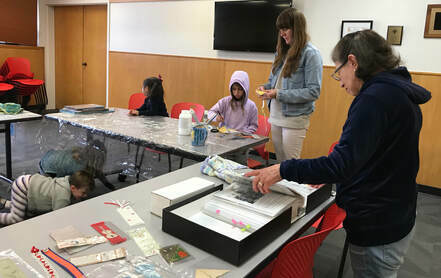 We are off to the Bookmark Bookstore to create a display celebrating Woboda. Stay tuned! Meanwhile, see what our members have been doing to celebrate below. WOBODA RAFFLE HITS 705 BOOKMARKS! 635 BOOKMARKS IN THE WOBODA RAFFLE! Helga Moghaddam from Germany contributed 133 bookmarks! 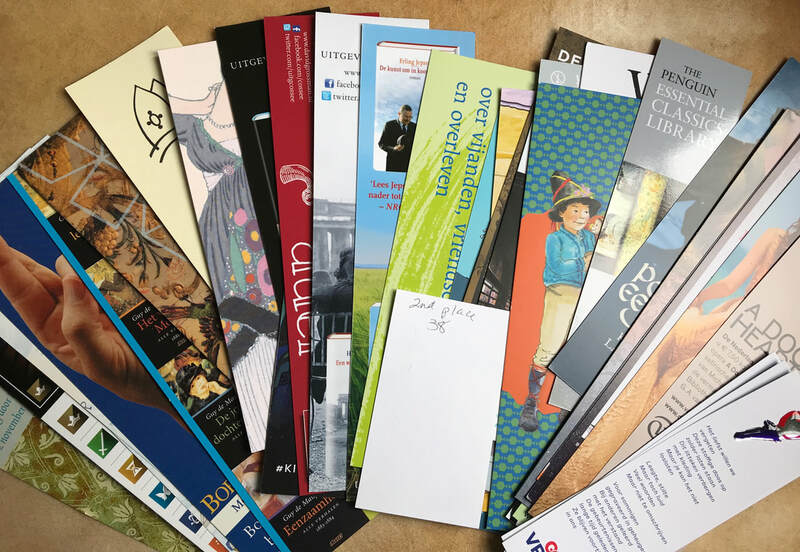 Gaby Dondlinger added 10 bookmarks from Luxembourg. 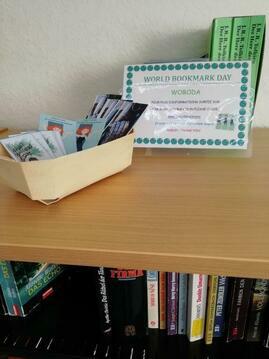 WORLD BOOKMARK DAY RAFFLE UP TO 382 BOOKMARKS!